Effective security and immediate communications for schools is more vital than ever before. The PAS School ALERTER emergency broadcast system helps simplify the complexities of emergency communications, to inform staff, students and visitors of serious situations but also act as a tool for day to day school activities. School administrators will have the confidence that their building or site is well prepared to respond to imminent threats during a crisis situation. If pressed in the event of an intruder or act of violence, the emergency button will automatically relay an alarm tone or pre-recorded message over the school-wide voice public address system across the site to inform staff and students to follow lockdown procedures. Additional panic buttons throughout the site can also automatically trigger the preset message or signal, and indicate exactly which classroom from which the emergency button was pressed. Enable Public Address broadcasts to be made to all or part of the site. Signal class change times automatically throughout the week. Provide the means for pre-recorded messages to be broadcast for other events. Play music to selected areas at break times to provide a calming effect. Relay a school radio station at break times. Signal an out of hours door bell across the site. Emergency lockdown tones and messages to notify the site immediately of a situation. Single or multiple activation points throughout the site with wireless remote control options. Quick and effective voice message communication to locate staff or students. Messages can be announced via microphone either over the whole site or to specific zones. Automatic class change tones throughout the school day. Different zones within the school can be created, each having a specific class change times, or announcements. Customised pre-recorded announcements can be created for special events (wet break, evacuation and lockdown). Music can be broadcast to selected areas at certain times, Christmas, break times etc. Broadcast MP3 audio files across the system. Our emergency alarm systems do not operate wirelessly, when communication is vital, a cabled solution ensures operation. Battery backup is available as an option, in the event of a mains failure the system will work. 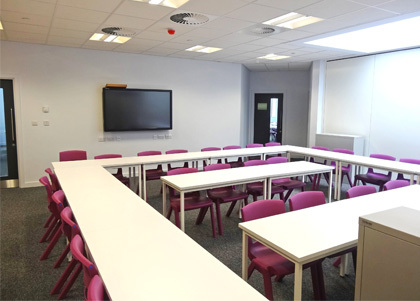 We tailor each system to suit the building/site with speakers to provide clear, intelligible speech, essential when emergency communications are required. Our systems are developed with thirty years experience of design and installation of commercial audio systems, we know what works well! We choose products from various manufacturers to suit any acoustic or performance requirement, to ensure the best performance. 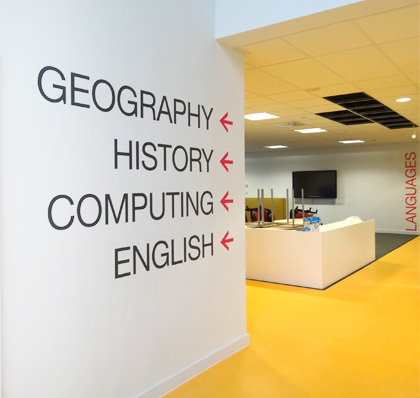 Our experience of providing voice evacuation systems for large public buildings allows us to draw on that knowledge to develop emergency broadcast systems for schools and colleges with confidence. In the event of an intruder or security threat being raised, activation of the system can take place in a number of ways, developed to suit the client's requirements. One or more Emergency Buttons, situated say at the school reception or head's office can activate a predetermined tone or message to take priority over the system if it is being used for any other purpose. Additional activation points can be located in other areas of the site to enable localised activation without the need to communicate to the main reception. As a final expansion of this theme, wireless remote buttons can be issued to staff to trigger assistance and activate a lockdown. Programmable to suit the school timetable, play tones or music to signal class start, change or finish. From simple timer to PC based software systems with multiple options to combine sounds, we can tailor the solution to meet your requirements. 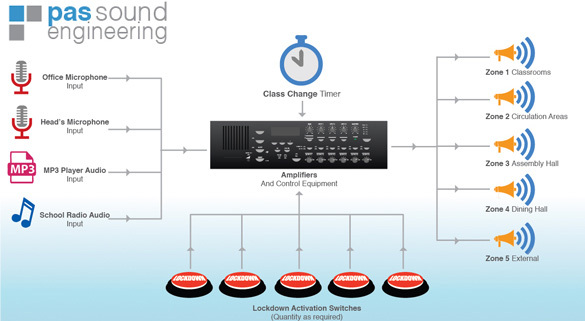 With the ability to store virtually any digital tone, no longer is it necessary to have traditional bell sounds as the primary audible indication. Our extensive library can offer a selection of melodic tones to suit most requirements. Having the capacity to make an announcement, to locate or inform individuals in a few seconds can be an important resource for everyday issues as well as for emergency and security issues. Our systems are 100% audio based and therefore are designed to deliver good quality speech for routine and emergency situations. 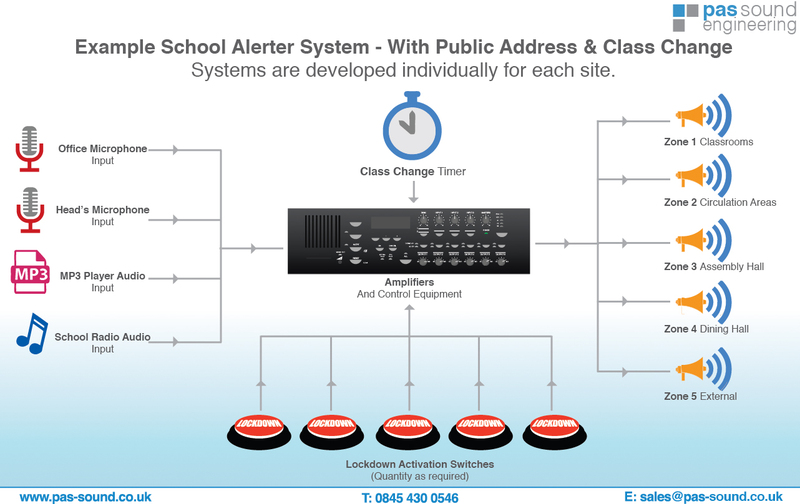 When using the system for general public address announcements, our School Alerter systems can be zoned to ensure messages only go to the necessary areas for example, avoiding the halls when exams are in progress. We also routinely provide speaker circuits in external areas covering entrance and playground areas which are connected as separate zones, thereby expanding coverage for break times. Effective communication in academies and schools can be a major problem especially in secondary or further education which may be spread over a large site with multiple buildings. We can link buildings together if required via the IT network to combine into a unified site wide system. Integrating music though the system is easy and can be as simple as connecting an MP3 player to providing a dedicated PC music server. 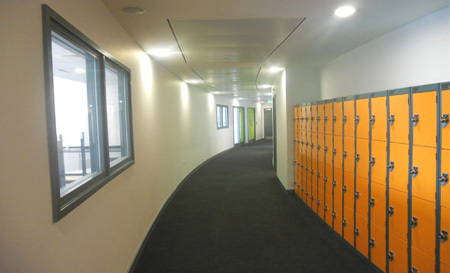 Music can be routed to go to selected areas at programmed times, or manually routed say from a school radio station at break times to common rooms. With a flexible system, the options are endless, but utilise the same network of loudspeakers to provide more use from your system and investment. Systems are developed individually for each site.